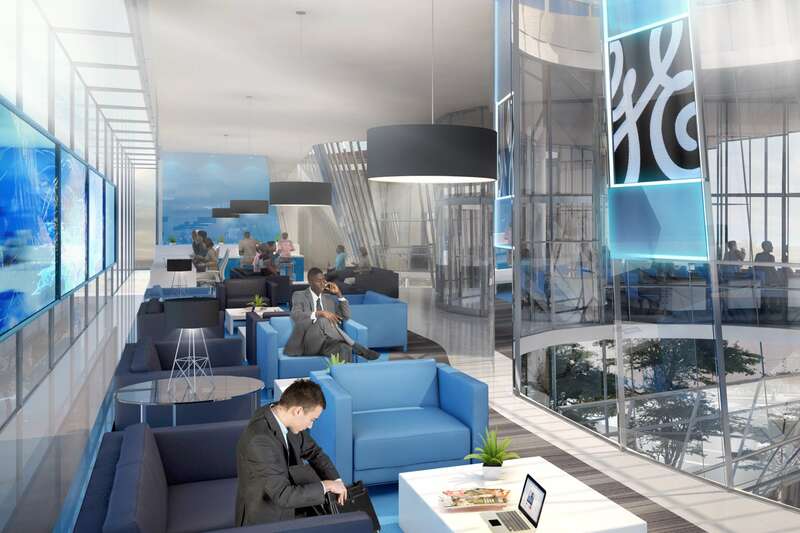 Prior to renting space for its Innovation Centre (with fit out by Paragon Interface), General Electric called for proposals for a new centre for Africa that would be in line with its buildings in other regions of the world. 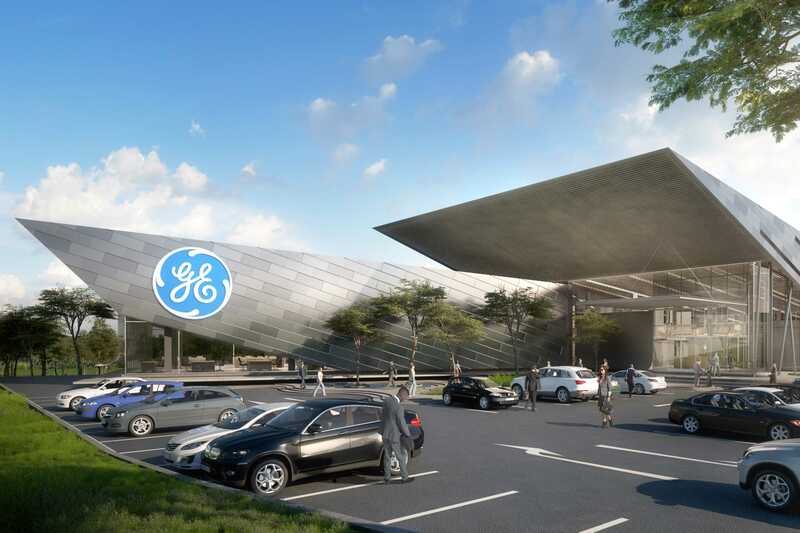 As a centre of expertise dedicated to innovation and training solutions for GE customers in sub-Saharan Africa, the building needed to accommodate various facilities to house three divisions: Innovation, Learning and Development, and Customer Experience. The overall intentions were cutting edge design, the innovative use of materials, an enhanced user experience, and Green Star SA certification. The design had to maximise the use of a very small site with as much on-grade parking as possible, to avoid creating new basements. 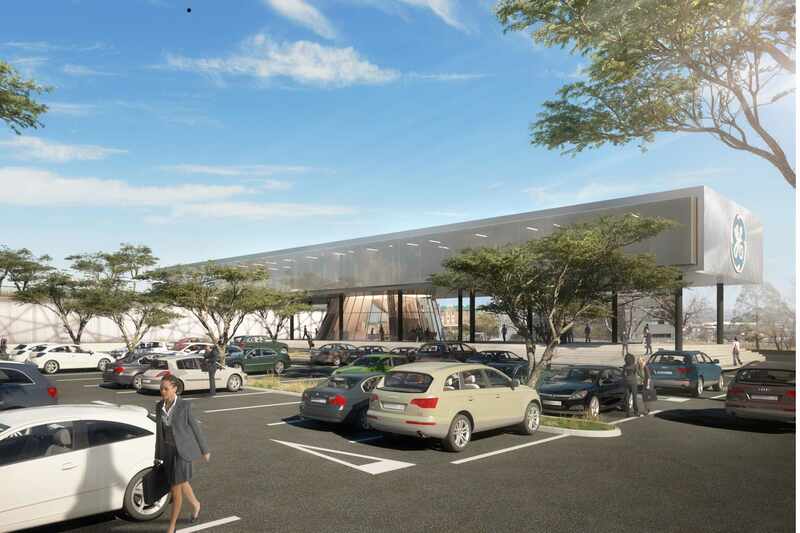 Within easy walking distance of the Midrand Gautrain station and Midrand CBD, the location addressed sustainability principles around walkability and accessibility. Both proposals from Paragon used an industrial aesthetic to tie in with the project’s existing built context, while maximising natural light and ventilation for user productivity and wellbeing.